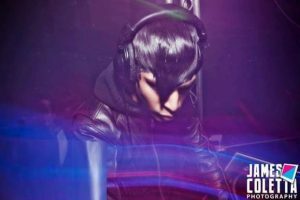 Put your horns in the air to welcome Joey Electric, for he has come to “slay them with synth.” This Club Hell veteran and FReQ Friday resident dwells in the undead mix of the underworld, punishing rejoicing crowds all around the East Coast. He wants to burn the sky with a vigilant fire and give his music immortality. His latest mix “Danse.Death.Repeat” is a soundtrack for impending doom.